When you push open the glass doors of the Carnegie Museum of Art’s latest exhibit, Teenie Harris, Photogapher: An American Story, you’re greeted by a floor-to-ceiling portrait of Harris and lilting jazz music from the 1930s. The multi-faceted exhibit is expansive enough to encompass Harris’ rich life work. Charles “Teenie” Harris (1908–1998) was born in Pittsburgh’s Hill District. 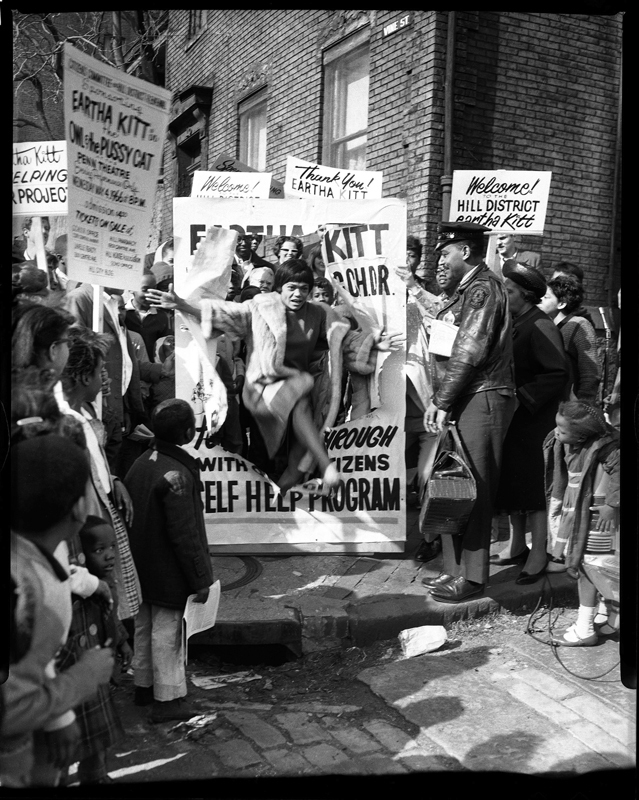 He photographed a wide variety of subjects in his studio and in the streets of Pittsburgh, amassing over 80,000 negatives in the course of his lifetime. Ten years ago, the Carnegie Museum of Art acquired nearly all 80,000 of those negatives and has been building and researching the archive ever since. The result is a massively impressive, interactive exhibit featuring 987 of Harris’ images on a variety of themes. An advisory committee of prominent scholars, educators, and opinion makers helped select the images. One of the uniting and unique aspects of the gallery is the original seven-track score that plays throughout the exhibit. Composed by MCG Jazz specifically for the occasion, the music is synchronized with the slideshow presentation of the images in one part of the gallery. The music makes reference to Pittsburgh’s evolving landscape from the 1930s to the 1970s, when Harris lived and worked. The most arresting part of the exhibit may be the floor-to-ceiling projections of the 987 images, divided by theme. The wall display smoothly rotates among images in groupings titled “Rise and Fall of Crawford Grill,” “Urban Landscapes,” “Gatherings,” “Words and Signs,” “At Home,” “Crossroads,” and “Style.” These headings give the viewer a sense of the broad scope of Harris’ work. With ample benches provided, one can get lost in the projections, staring at the faces and scenes of Pittsburgh from decades ago. Harris was especially adept at capturing a wide variety of people, not just African Americans. The projections show former President Dwight Eisenhower; a smiling, nameless waitress; the famous African-American singer, Sarah Vaughn; and the Westinghouse High School boys’ basketball team, all in one rotation. The projected images are without caption, but the next room contains all 987 images in chronological order. Neatly arranged along the perimeter of the room, the photographs are in a more manageable five-by-seven-inch format. The museum provides free audio guides, a cell phone tour, and a directory, which lists the caption and history of every single photograph. Additionally, more than 20 computers are lined up in the middle of this large gallery, allowing viewers to interactively access the images, videos, and other information from the online archive. 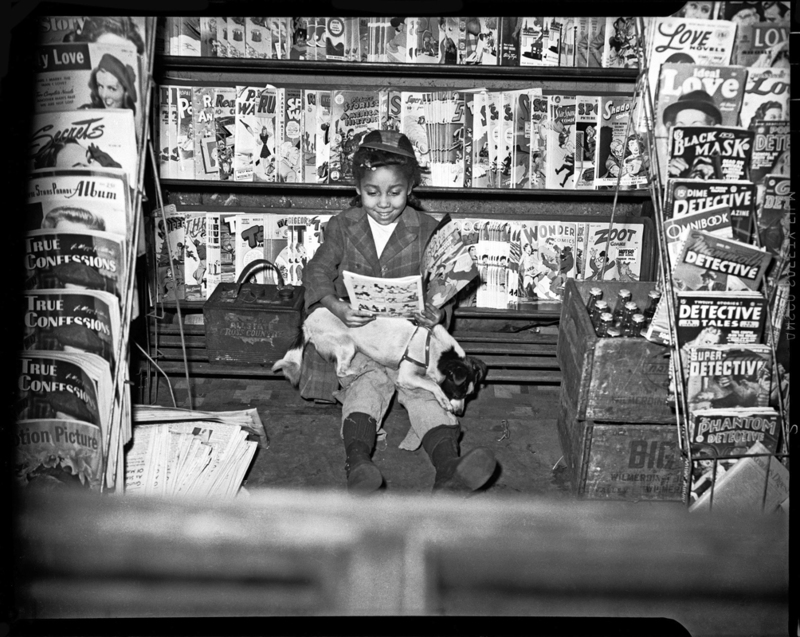 Many of the images were taken for the Pittsburgh Courier, the nationally-circulated black newsweekly of the time. The final section of the gallery contains 12 images that Harris printed himself, some of which were selected by Carnegie Mellon’s own Linda Benedict-Jones, an adjunct history professor; Charlee Brodsky, a design professor; and Joe W. Trotter, a history professor. The images are accompanied by a brief written explanation of why the image was selected and an exploration of the composition. Overall, the exhibition is beautifully done. With multiple entry points, via the online archive or the digital projections, there’s a chance for viewers of all ages and experience levels to access the material on more than one level. Harris’ work offers the chance to go back in time, to examine the vibrant black community of Pittsburgh through Jim Crow laws and the civil rights era. The exhibit is on display from now until April 7, 2012. The Carnegie Museum of Art offers free admission with a Carnegie Mellon student ID.